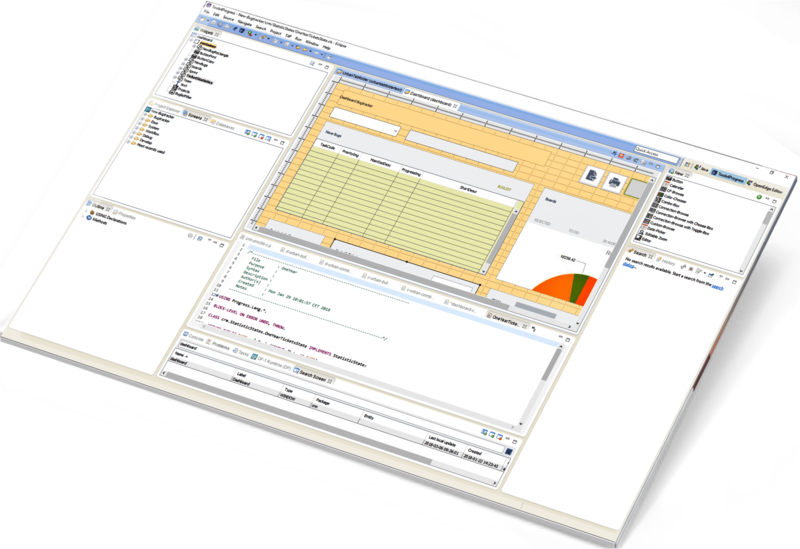 OF-1 is a low-code development platform for OpenEdge that enables to create local enterprise level systems in .NET, SaaS applications and Web applications in HTML5 from only one single ABL source code! 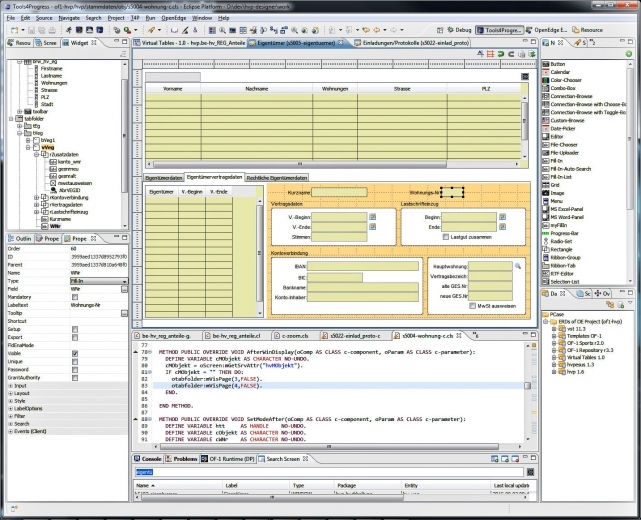 Building screens is easy with the integrated screen designer. Everyone from trainee up to high professional can work in a project together. Becoming more familiar with OF-1 (web sessions, workshops, PoC, training, coaching, support) allows the customer to work independently. We offer a free presentation with demo via internet, it will take only 1 h of your time. Please send a mail to ed.pa1555609869i@1-f1555609869o1555609869 or call +49 (0) 40 – 30 68 03 – 0. 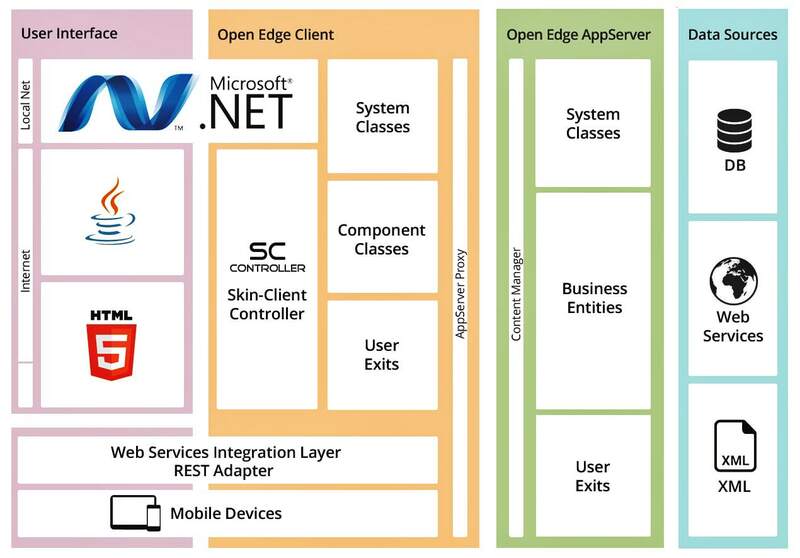 The Tools4Progress (PCase, Skin-Client, Viper) are created for Progress OpenEdge. 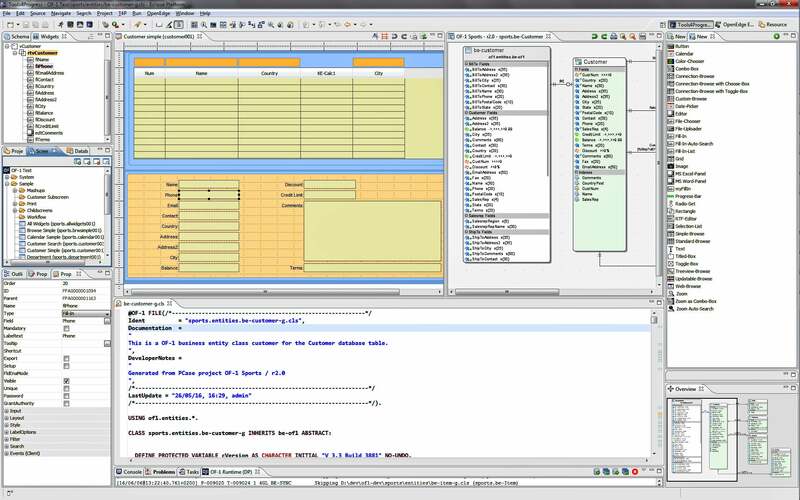 PCase visualizes the database and gives powerful code generation abilities. 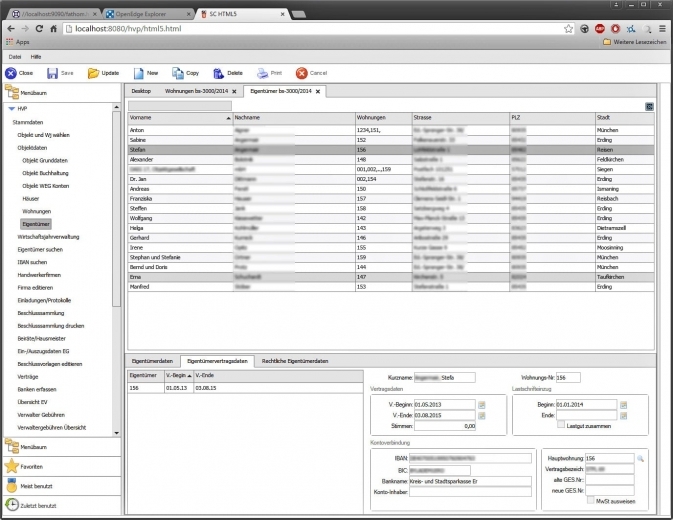 Skin-Client enables you to modernize and extend your Progress application. Skin-Client Mobile enables App creation without device-specific languages or development environments. Viper brings a programmable 4GL/ABL printing system, which is OS independent. 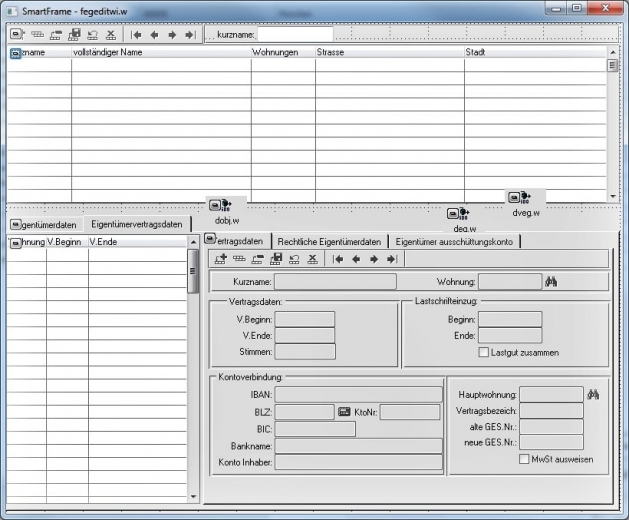 Screens (similar to program) and sub-screens (flexible container with the ability to snap in dynamically into a screen) will be drawn in the designer. The wish for modernization an application could be triggered from sales, customer demand, technology changes or is market driven. Often applications looks old, sales says: 'We could not sell anymore'. Or – Today's #1 – 'we need a Web / SaaS solution'. Proven OF-1 strategies are available to accomplish this. How much training, coaching or support a customer needs, is very different from project to project. The place to be held could be here in Hamburg (Germany) or in the customers office. Usually in the first year some coaching and some support is very recommended.